Visit the Sanctuary of Lourdes (also known as “The Domain”), where millions of faithful Catholics pilgrimage each year. With a local guide, learn the history and significance of the site. 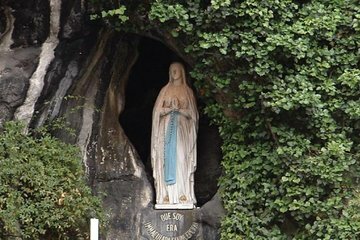 Visit the Grotto of the Apparitions, where the Virgin Mary is said to have appeared in 1858. The site also includes a shrine, places for meditation and prayer, and baths fed by a spring.